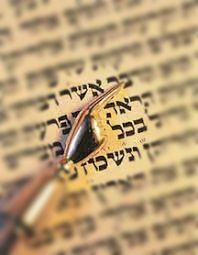 A connection between Chanukah and Parshas Mikeitz is brought down in Sefer Shraga Hameir that by all the parshiyos in the Torah, the number of pesukim that are in the Parsha are cited according to the mesorah. By Parshas Mikeitz the number of words are also recorded. Why? Because Parshas Mikeitz has the special quality of having 2,025 words. Starting with 25 alluding to 25 Kislev, the date that Chanukah occurs, in addition 2,000 is 8 times 250 corresponding to the gematria, numerical value, of the Hebrew word "ner".